The Marvel Now! Version of the armor-clad Avenger, Iron Man! This statue is based on the artwork of Adi Granov and commissioned by Kotobukiya. 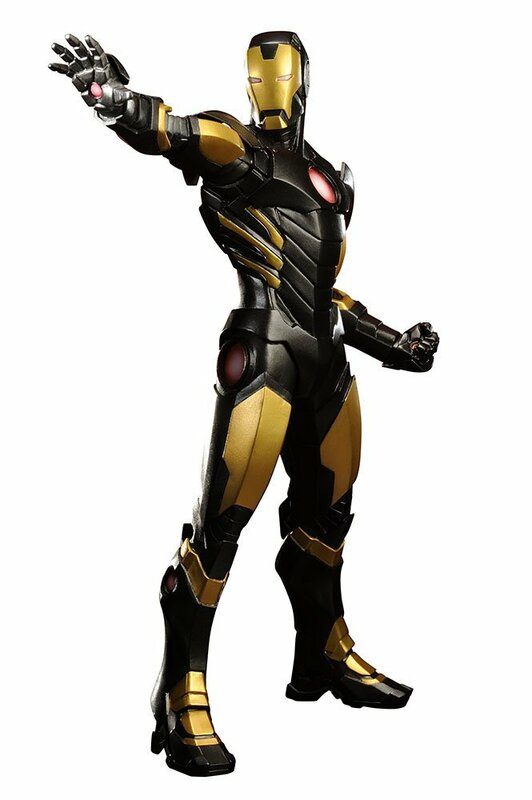 The bold black and gold colors adapt Iron Man's AVENGERS NOW appearance. The statue stands over 20cm (8 inch) tall in 1/10 scale. This statue can be displayed individually or alongside his fellow Avengers which are also available as ARTFX+ statues by Kotobukiya!